The first half of 2016 has certainly been interesting and has set the stage for what could be profound changes to the mailing industry in the second half of this year and beyond. We have been closely monitoring these activities and in some cases are also directly involved, particularly through MTAC and industry associations such as Postcom, Idealliance and Epicomm, to name just a few. Speaking of Epicomm and Idealliance, that is perhaps the first major event in the second half of 2016. Effective July 1, Idealliance and Epicomm have now merged, thus becoming one of the largest industry associations with members across the total graphic communications supply chain. 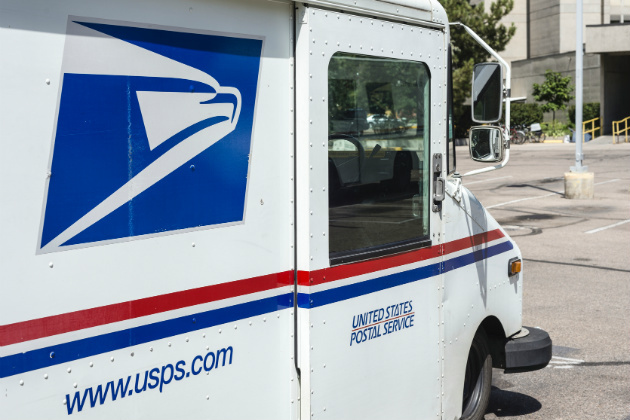 This merger comes at a critical time as the USPS continues to roll out its major initiatives such as seamless acceptance, eInduction, census-based addressing and mail preparation compliance, and informed visibility. Informed Visibility is another initiative that could have a major impact on the mailing industry and specifically direct marketing. The Intelligent Mail barcode has transformed mail in some exciting ways. Now with Informed Visibility, we can enhance the predictability of anticipated mail piece arrival. With the mobile delivery device scanners recently nationally deployed to letter carriers, the USPS will be able to track where carriers are on their route in real time. This could provide an opportunity to precisely — perhaps even within the hour of when a mail piece is due to arrive — trigger multichannel messaging to enhance anticipation of arrival. Some early tests in this strategically timed multichannel approach are yielding substantial (five times higher) improvements in response rates. Finally, just when you thought Congress had given up on responding to the USPS's pleas for corrective legislation, the House Oversight and Government Reform Committee introduced proposed legislation that in many ways would radically change the USPS. In fact, some of the proposed changes in this draft piece of legislation seem to have come out of nowhere. The Postal Service Reform Act of 2016, as it is being entitled, addresses the healthcare benefits issue by establishing separately rated postal plans within the Federal Employee Health Benefits Program (FEHBP). It would also require almost all postal employees and retirees who elect coverage through the new FEHBP to enroll in Medicare Part A and B. Because of the financial impact this might have on Medicare, the USPS will fund a decreasing portion of the Medicare Part B premium over a four-year timeframe. The legislation also eases the prefunding pension liabilities introduced in the 2006 law. Another part of the proposed legislation proposes an accelerated approach to reducing doorstep delivery in favor of less costly curbside and cluster box delivery. In the proposed legislation, businesses would have to migrate to centralized delivery and voluntarily convert to centralized or cluster box delivery of residential addresses identified by the Postal Service where 40 percent of the residents consent to conversion. A conversion waiver would be allowed in case of physical hardship or for residents who do not consent to voluntary conversion. However, any future or new residents of an area that has been converted will receive the converted delivery type. Postal rates are also mentioned in the proposed legislation, allowing the USPS to increase postal rates for market-dominant products by 2.15 percent. This appears to be a compromise related to the removal of the 4.3 percent exigent surcharge earlier this year. The Postal Regulatory Commission still needs to complete its full review of the market-dominant rate system by Jan. 1, 2018. There are several other items in the proposed legislation, but perhaps the one that has most in the industry scratching their heads are the changes to Postal Service governance and operations. Under the proposed legislation, the Board of Governors (BOG) is reduced to five members who are Presidentially-appointed and Senate-confirmed, and serve for seven years. However, the BOG would serve as an advisory board to the Postmaster General and set the compensation rates for the PMG and the Deputy PMG. The PMG and DPMG would also be appointed by the President and confirmed by the Senate and would serve four-year terms. This is an interesting political move that no one in the industry seemed to have foreseen, and it is already generating some interesting reactions. In summary, we can expect to see expanded adoption and leveraging of the Intelligent Mail barcodes, changes to mail acceptance and continued dialogue within Congress regarding Postal Reform. In short, it will be a busy second half this year. Chris Lien is president of BCC Software and has been active in the mailing industry for more than 20 years. During that time, he has authored several software solutions utilizing Mail.dat for electronic auditing, distribution and logistics planning, palletization, and electronic postage payment. He has been heavily involved in industry associations such as the Association for Postal Commerce, EPICOMM, Alliance of Nonprofit Mailers and Idealliance. Mr. Lien also serves as the elected Immediate Past Industry Chair for the Postmaster General's Mailers Technical Advisory Committee. Mr. Lien has spoken at numerous conferences and events such as the National Postal Forum, Mailcom, Graph Expo, and many Postal Customer Councils. He is a frequent author of industry articles related to address quality and has hosted many online webinars. Mr. Lien holds a bachelor of science degree in computer science from the University of Minnesota.